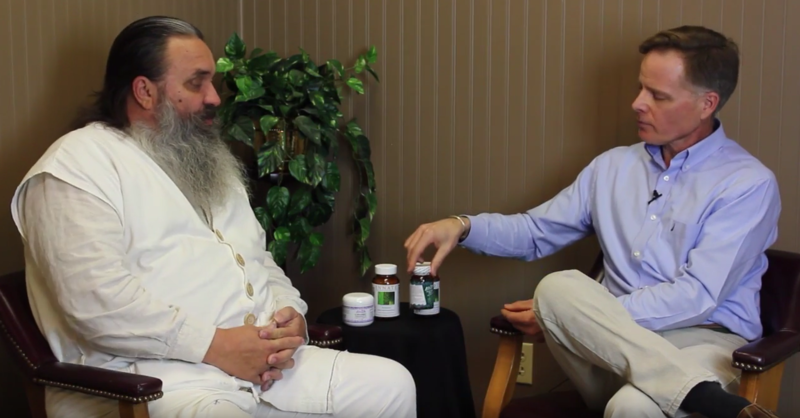 I interviewed NotADoc AKA Chris Barr on the benefits Silica and the impact it has on bones, joints, heart muscles, the brain, and more. Chris explains why it is an essential nutrient and which brand is more effective than almost all other brands on the market today. So let’s dive in! Who is NotADoc (Chris Barr)? So far we’ve talked about the benefits of whole food nutrients, specifically Chromium and Selenium. Today we’re going to talk about Silica. Well, the actual element it Silicon, but it’s most commonly referred to as Silica, which is how it’s found in a compound form and lot of different forms. Silica is actually the key to bone health. It was discovered in the 1950’s by a number of European scientists that it was essential for skeletal development of the fetus. That lead them to look into its relationship in bone health. It was found that it was the key to bone health even more than Calcium and Vitamin D.
In the 60’s when they were excited to find that Silicon strengthened bone. They did a series of studies with lab animals, breaking their femur, and checking healing time. They gave one group Calcium, one group Silicon, one group got both, and one group got nothing at all. They expected the best results to be with the Calcium and Silica combination, but instead they found the fastest rate of recovery at half the time of normal was in those receiving added Silicon in their diet. Those that had just Calcium didn’t see much improvement over a normal healing time without additional nutrients. And those that got both actually saw slower recovery. I could go on and on with the science, but the key to bone health is Silica. Beyond that, we learned that it’s also the key to collagen – the connective tissue that holds us together. In fact, the company that opened the marketplace almost 50 years ago, actually marketed this as an internal beauty cosmetic to avoid any fights with the FDA telling them you can’t make claims even though the science is solid. When it comes to bone strength nothing else can touch Silica. I have never known a single individual diagnosed with osteopenia or early stage osteoporosis that wasn’t able to reverse it in a matter of months. They went back to the doctor and found that their bone density was back to normal. My mother actually saw these kinds of results. She started with Boniva and switched off it to Silica and her doctor was blown away with the results. The key to bone health is Silicon. Secondary to that is Magnesium, Vitamin D plays a role. Calcium is actually documented when you get into the levels actually used, to actually inhibit bone healing. Silicon also helps with aging. Wrinkles are less prevalent with greater Silicon levels. It’s also necessary with the heart. The elasticity of cardiovascular tissues is greater with higher Silicon levels. Over time bones become brittle over time since we’re not getting Silicon in our diet… again, because it’s being removed from our foods just like Chromium and Selenium are. It’s the same for the integrity of the cardiovascular system. Also, Silicon also is the key to Alzheimer’s. Many people believe that Aluminum is the cause. Aluminum is found in predominantly in the Earth’s crust in the form of Silicon-Aluminate. Silicon manages Aluminum. In the absence of Silicon, Aluminum causes those tangles in the brain and breaks down the brain tissue. Part of that is also because Silicon is a semiconductor. It helps the brain and the heart to improve our electro-chemistry. There’s a reason they call it Silicon Valley in California. The better the Silicon chip, the more information a computer can handle and the faster it can handle it. It’s the same with this CPU (points at head). It’s more sophisticated than anything technology has invented. There are numerous studies that have shown that the higher the Silicon level in the body, the lower the chance of Alzheimer’s disease. So it has many benefits… bone health, joint health, heart health, skin health, and brain health. Alta removes all of the Quartz, all of the Thiaminase, and concentrates the Silicon and uses the food form of the nutrient. This makes it the superior supplement on the market today.